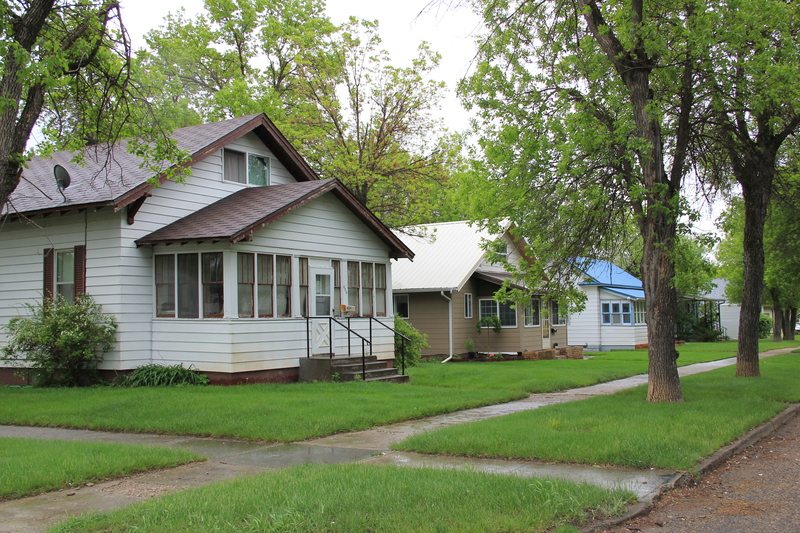 Thirty years ago geographer John Hudson wrote a series of articles and a book on the topic of “plains country towns,” addressing the landscape patterns he found among the railroad-established towns of the northern plains. 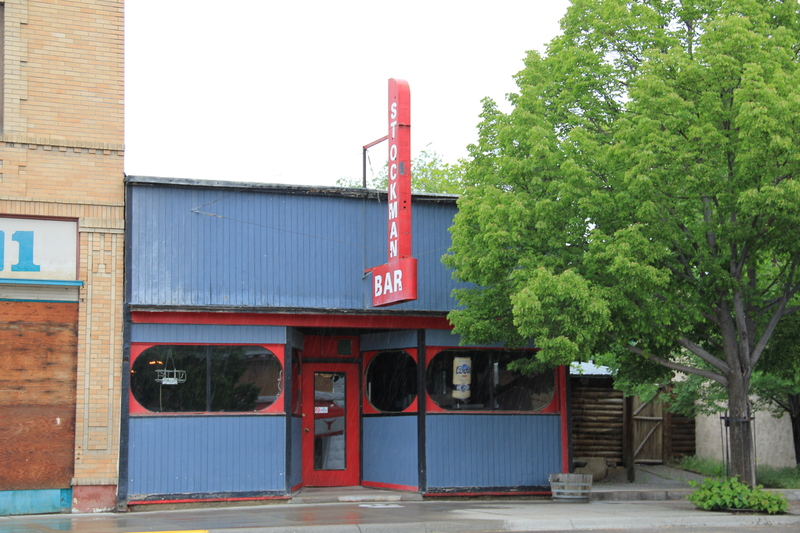 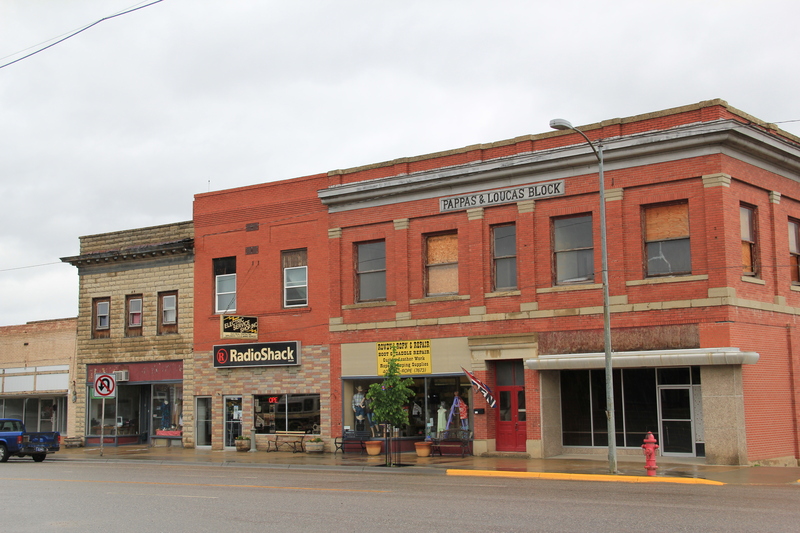 Ever since Hudson’s concept of plains country towns has influenced how I look at the Montana’s small towns. 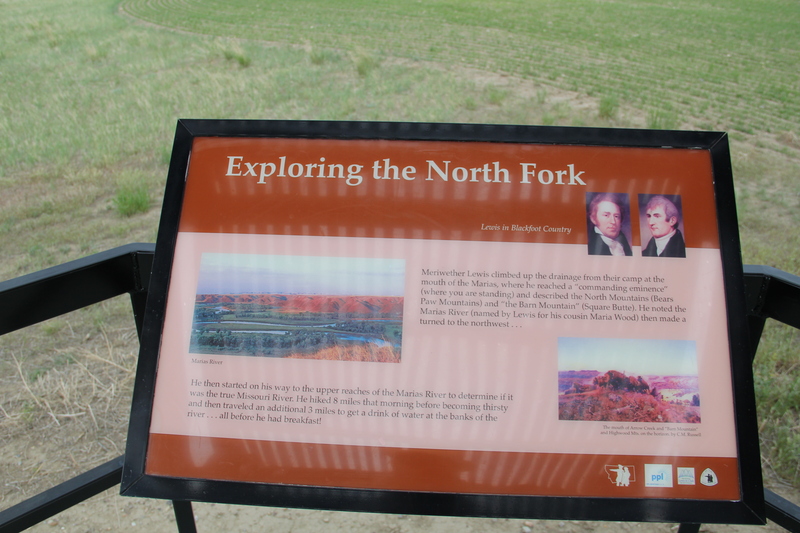 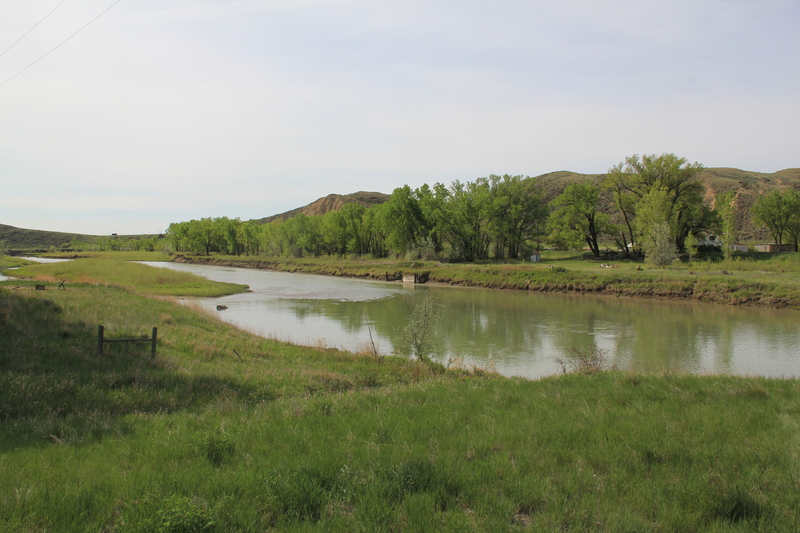 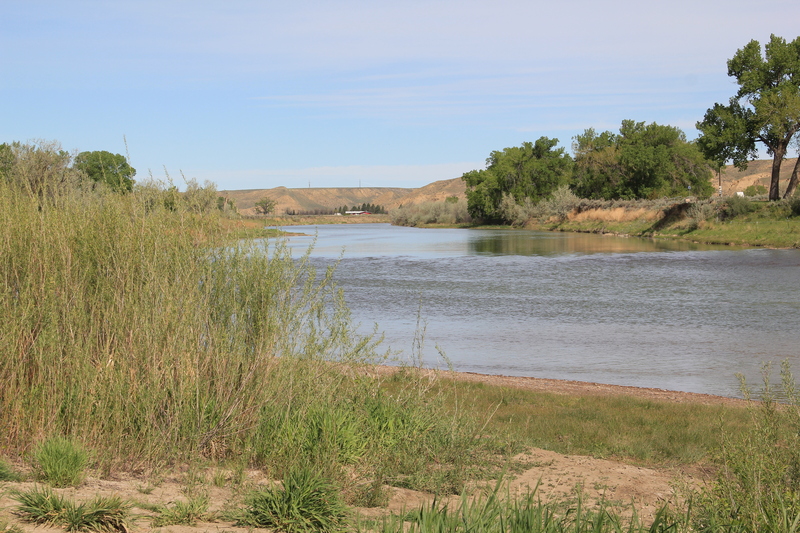 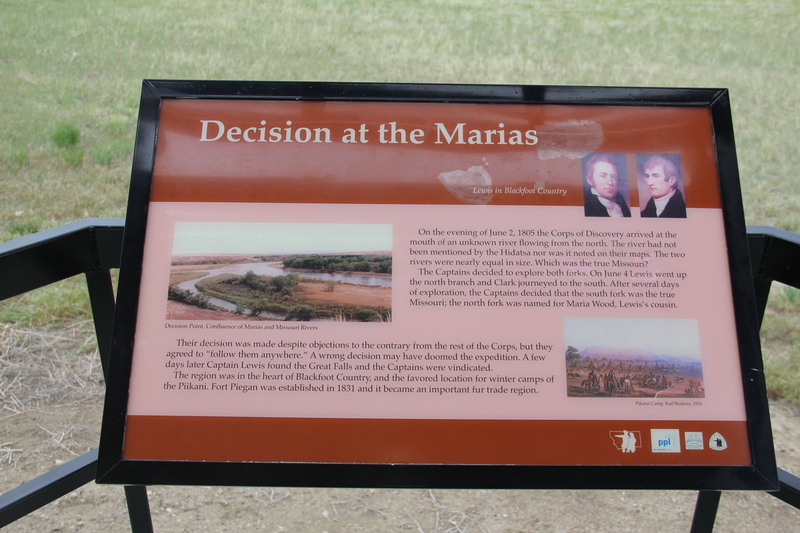 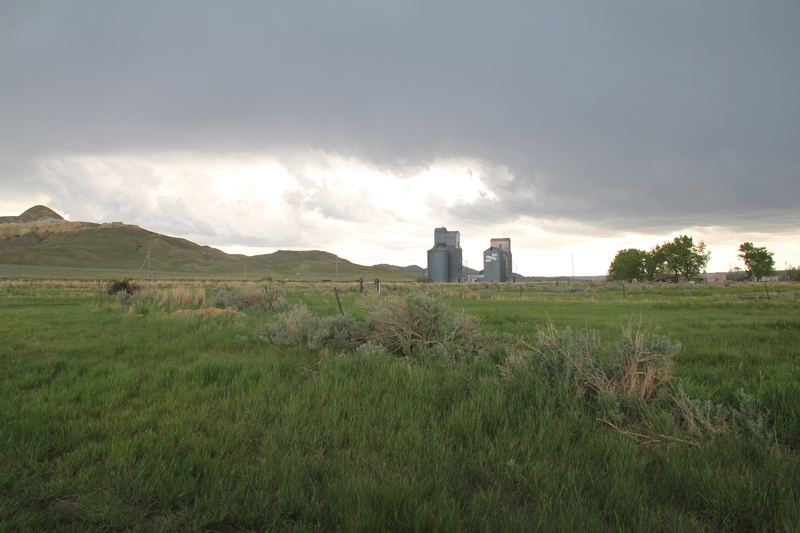 Even in such river counties as Chouteau County where the Missouri River trade base of Fort Benton has dominated the county’s economy and population since the mid-19th century, you can still find the unmistakeable imprint of the railroad and the grain elevators that mark the presence of a town. 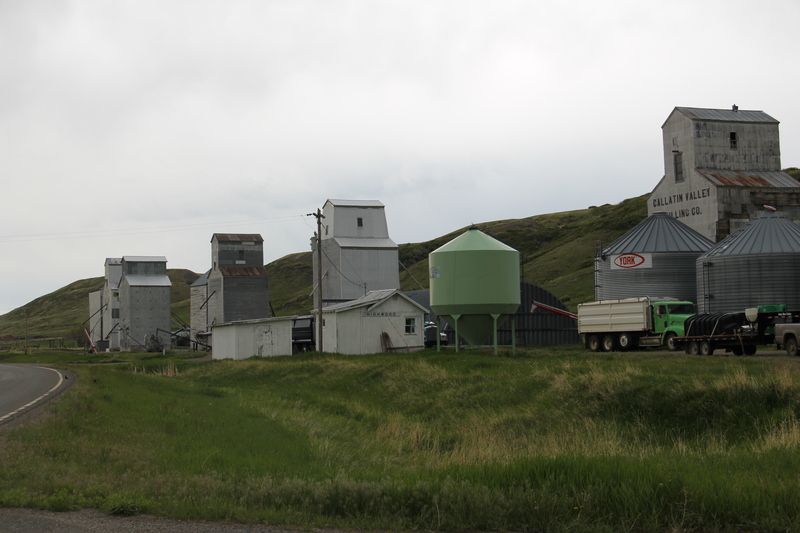 just about 175 people in the last census. 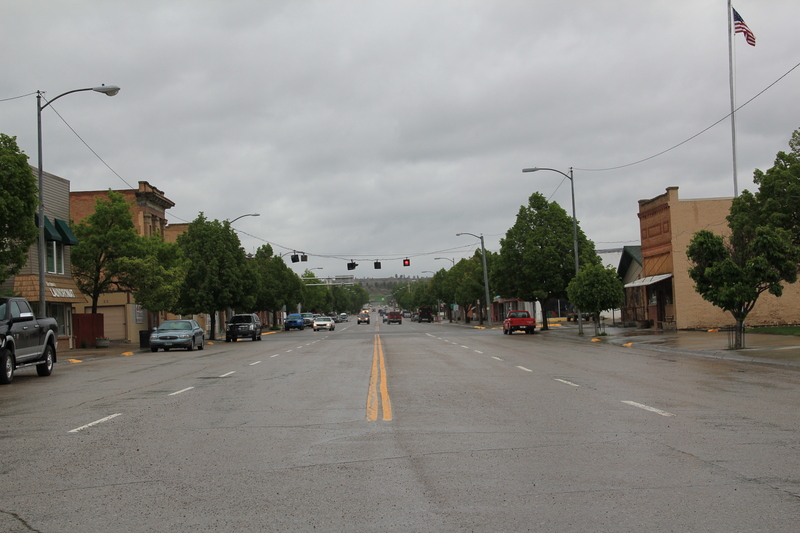 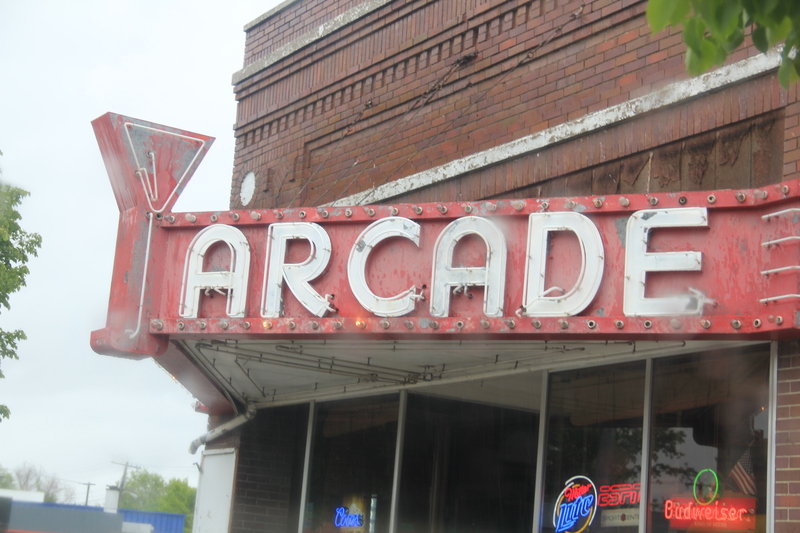 Like most plains country towns, it has steadily lost population in the last 50 years. 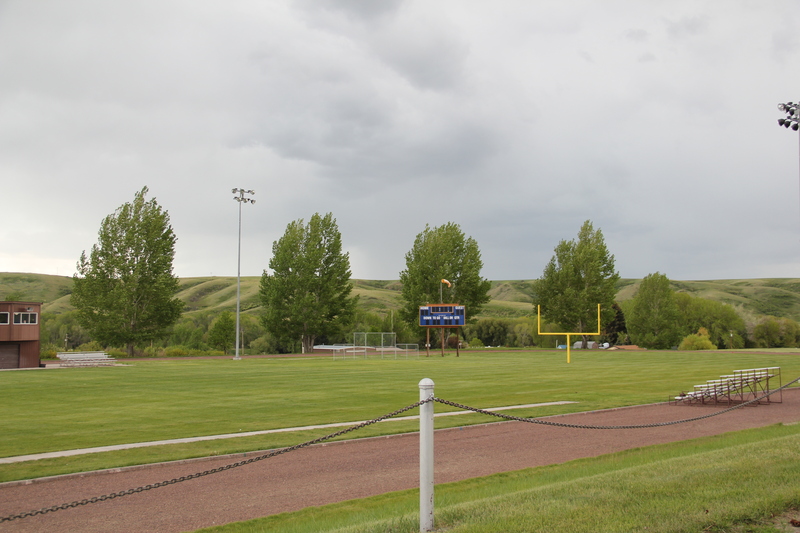 In fact this weekend’s Great Falls Tribune discussed how the Highwood High School was going to forge a co-op for sports with Geraldine so both schools could continue to have basketball, volley ball and 7-man football, played at this tiny field in Highwood. 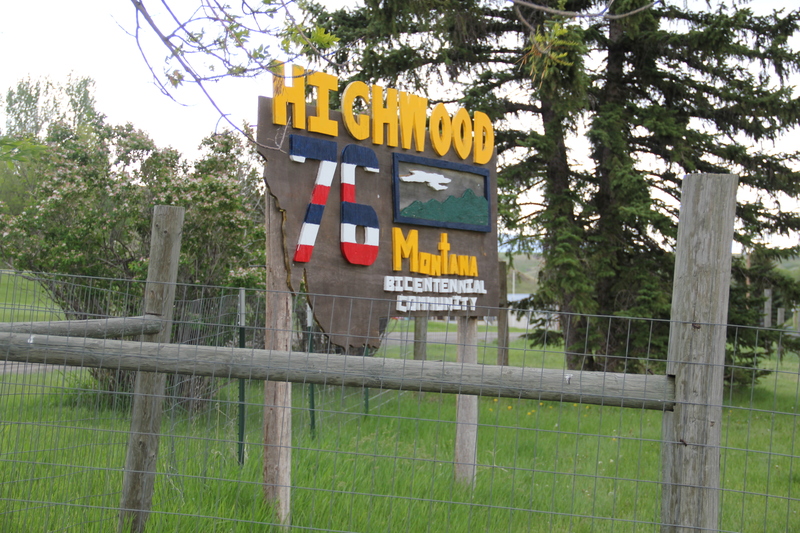 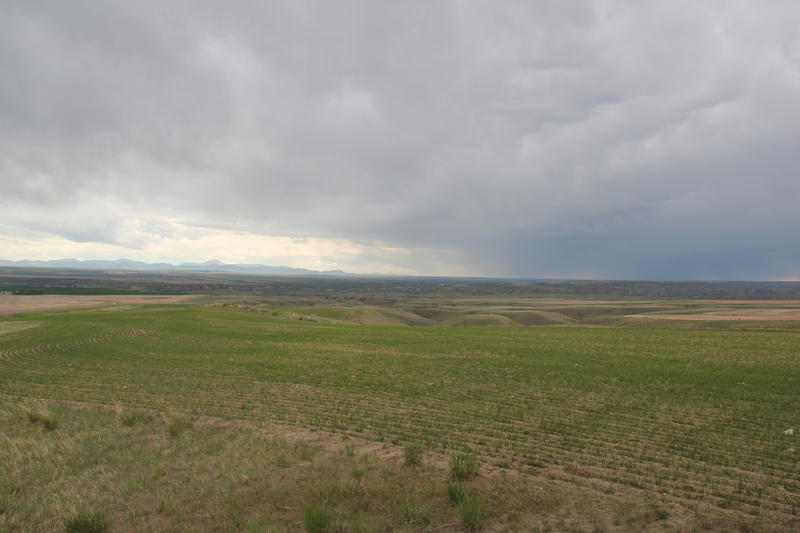 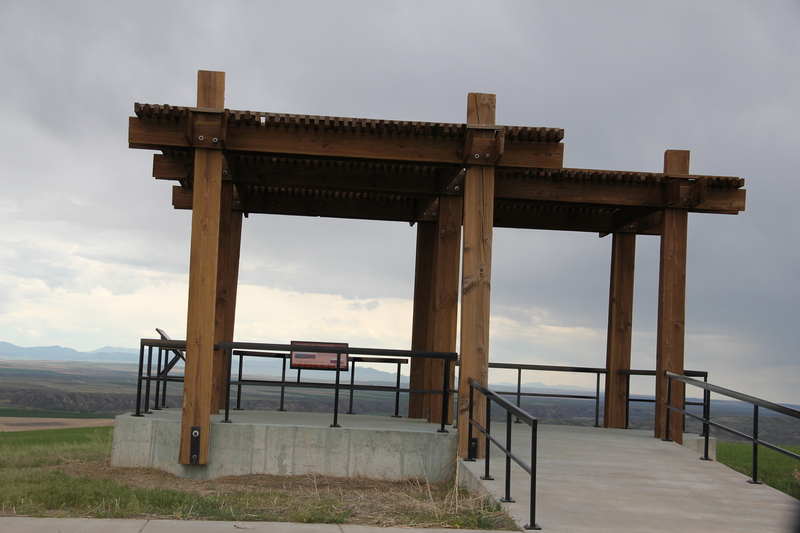 The Highwood School is no doubt the pride and center of this community, a place not often found by travelers nestled as it is in a gulch formed by Highwood Creek along Montana Highway 228. 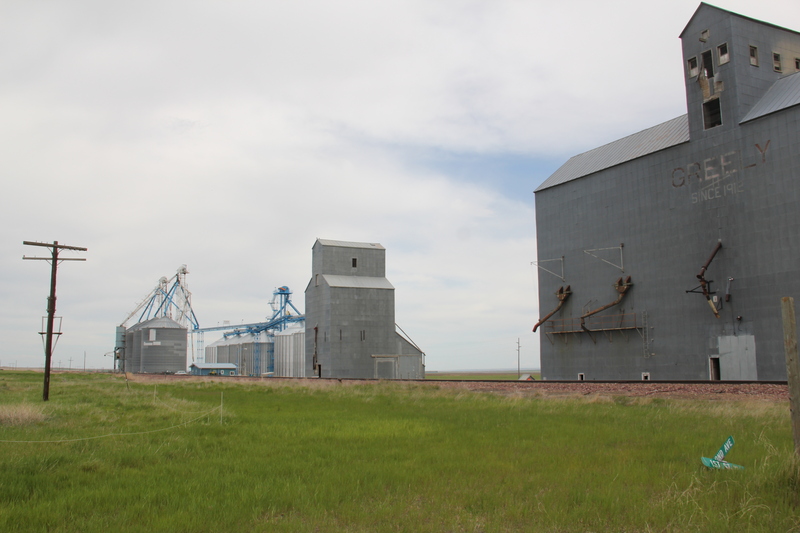 It began in the 1880s as cattle country but with the coming of the railroad in the 1910s t became an outlet for grains, as its set of tall elevators makes apparent. 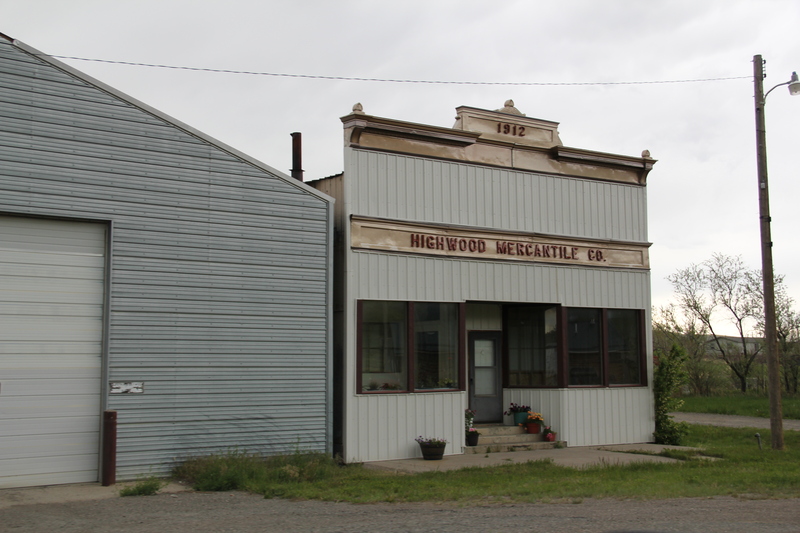 A small one-story false front building for the 1912 Highwood Mercantile Company also remains to mark the town’s railroad years. 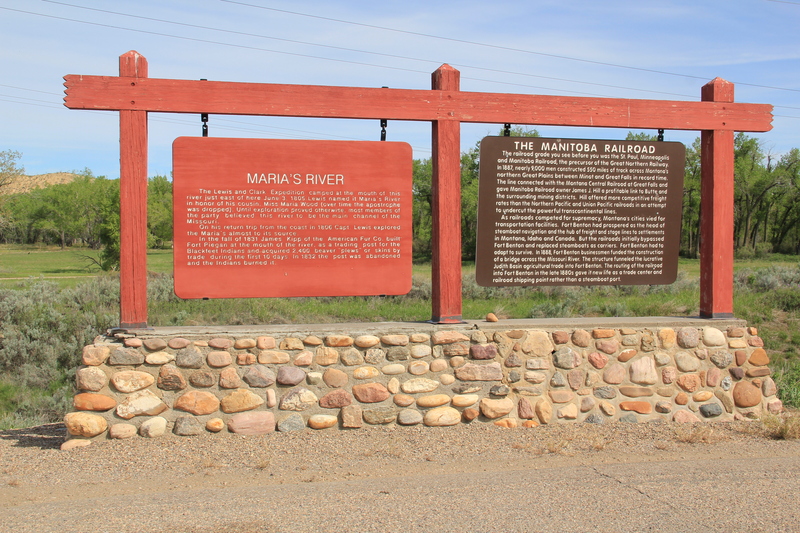 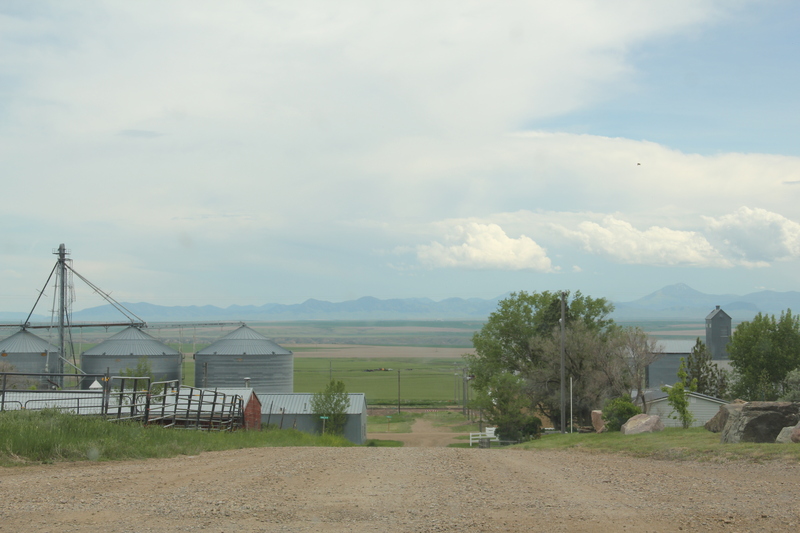 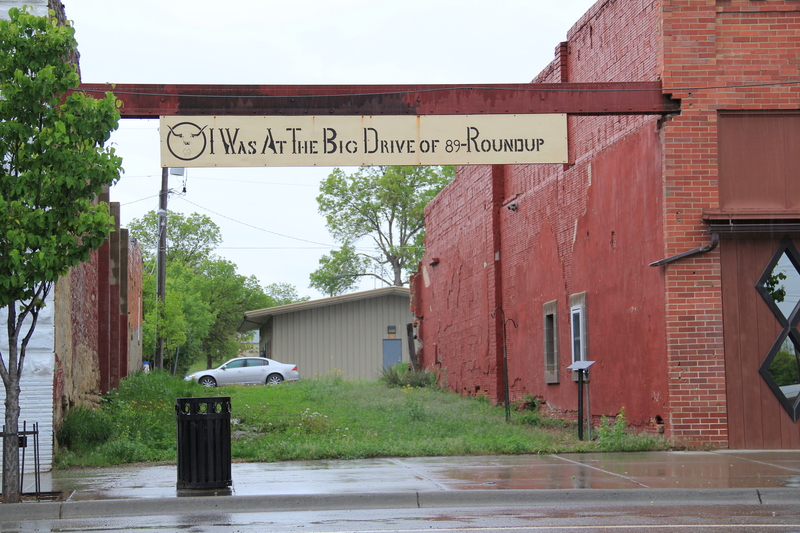 should turn south and drive down into Carter proper since the town, despite its tiny number of residents, still has many of the community institutions that defined a proper plains country town of 100 years ago. 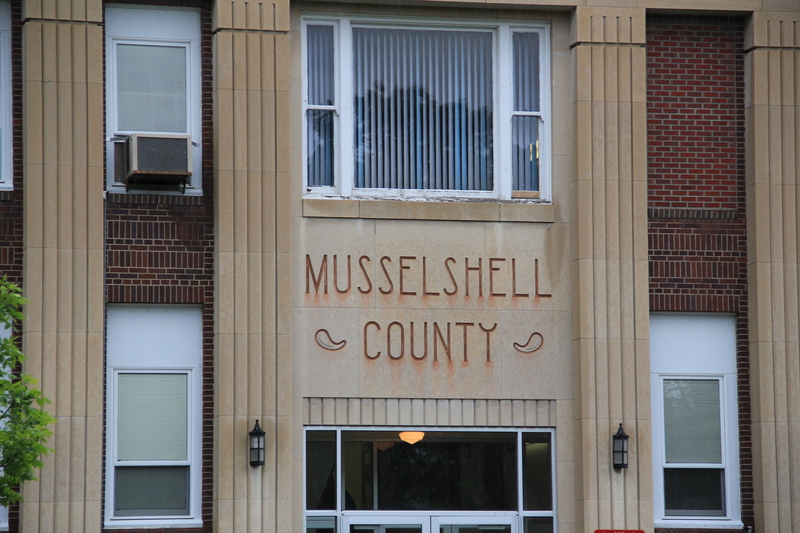 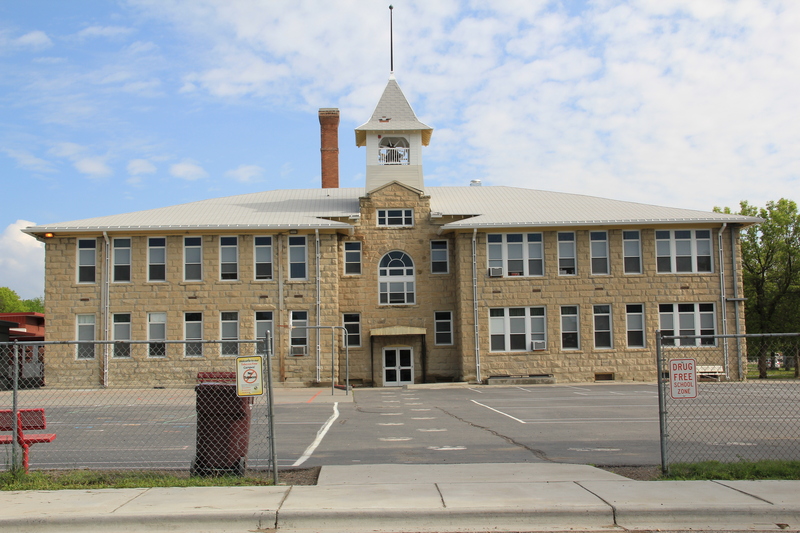 First, there is the still operating Carter Elementary School, probably the one institution that keeps the town alive–when country towns lose their school soon everything else goes too. 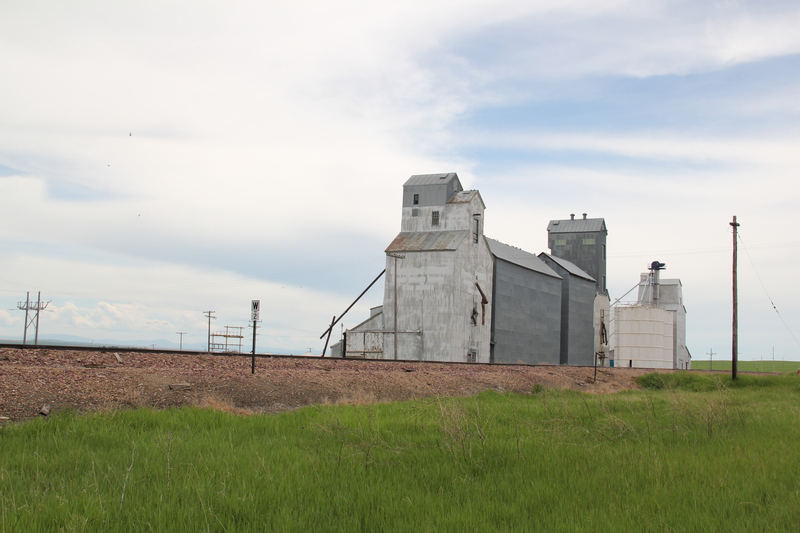 Next comes the tracks, railroad depot, and the grain elevators–while not public institutions they do give the community commercial lifeblood, and as long as the trains roll by there remains an economic reason for Carter to exist. 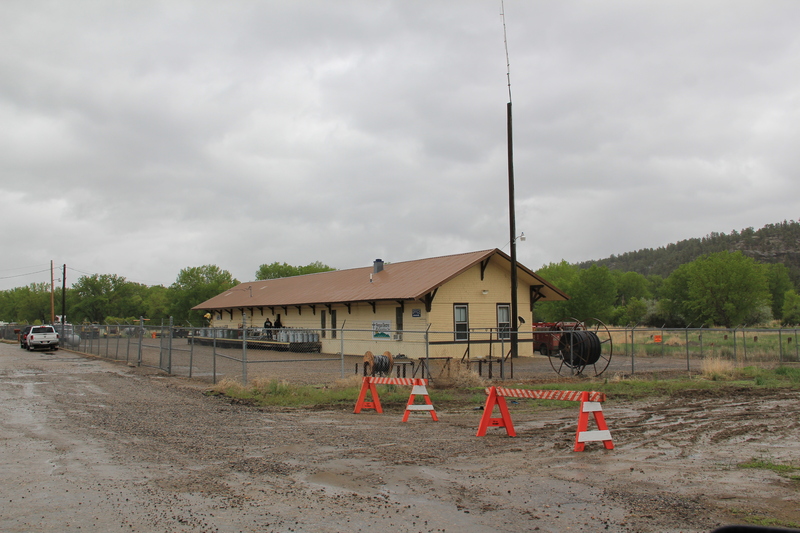 The depot has been moved from its original location paralleling the tracks, but this early 20th century standardized designed combination depot for the Great Northern Railway still stands–there were hundreds across the state in my survey of 1984-1985 and one of the more disturbing trends of the new survey of 2013-2015 is how many Great Northern depots are gone, eliminating from the landscape they once dominated. 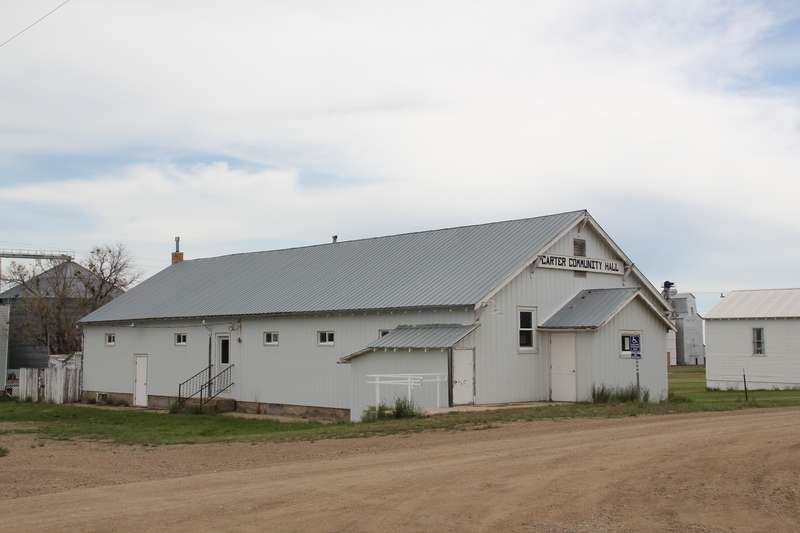 Faith too has remained in Carter, with the persistence of the town’s small vernacular styled gable-front little white Methodist church, although in its first generation several congregations had been established here. 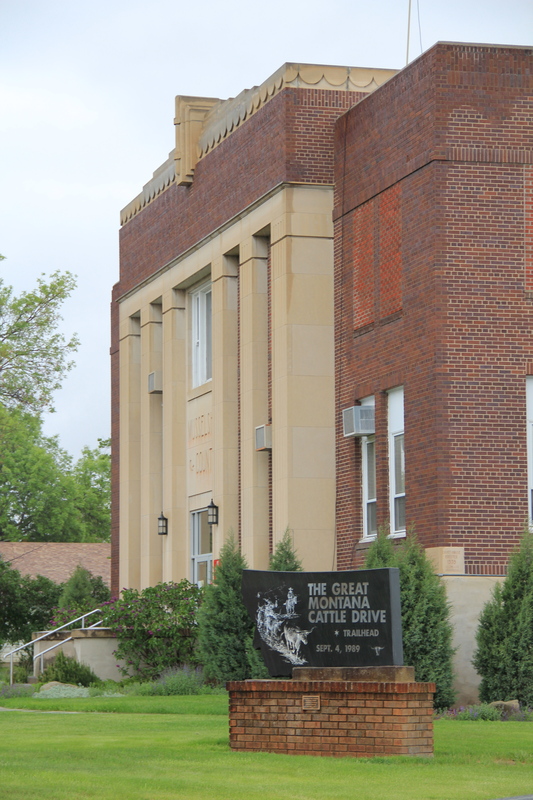 Carter also still has its Community Hall–an institution across the northern plains that defined hope and persistence in the years following the homesteading bust of the 1920s. 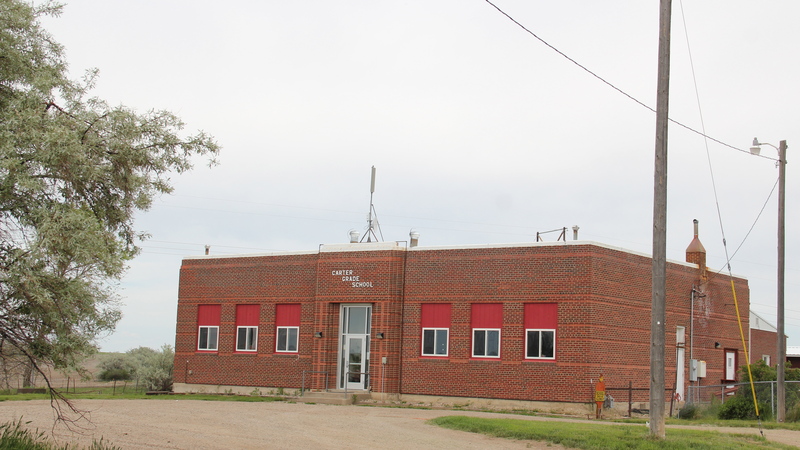 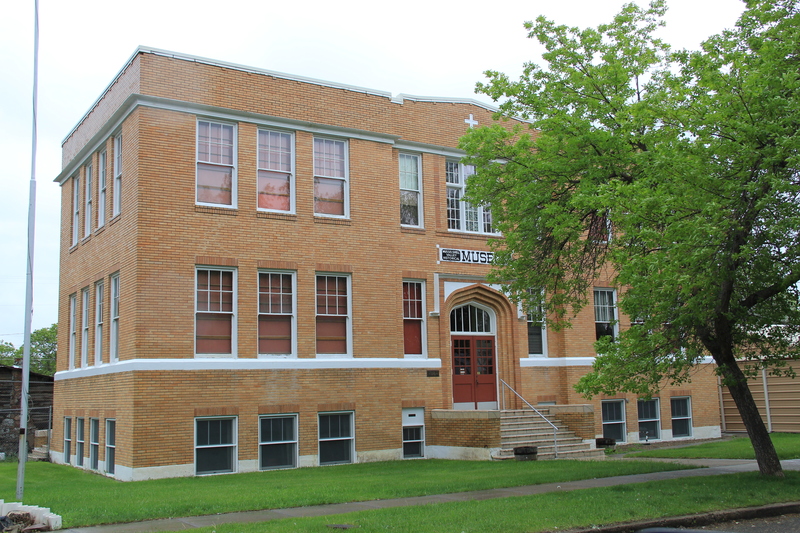 Community halls too were more numerous in 1984-1985 than today–the building in Carter is a significant community link between past and present. 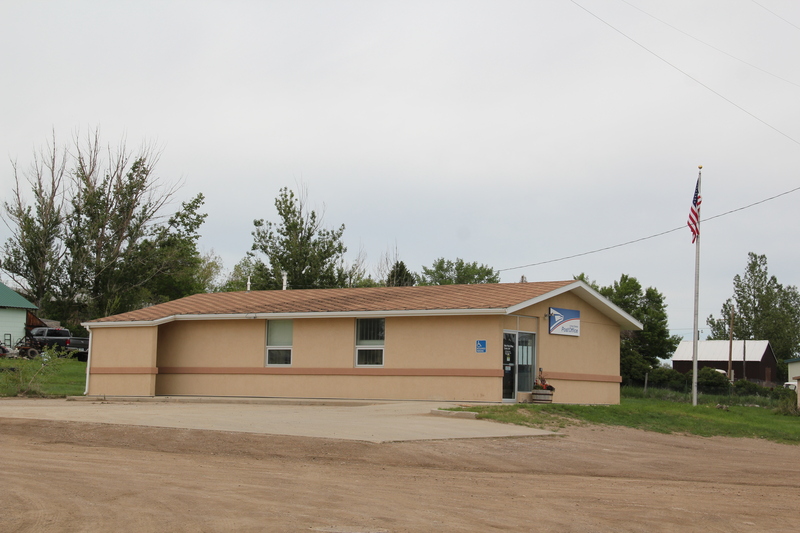 Finally there is the federal presence–marked by a concrete block post office from the last decades of the 20th century. 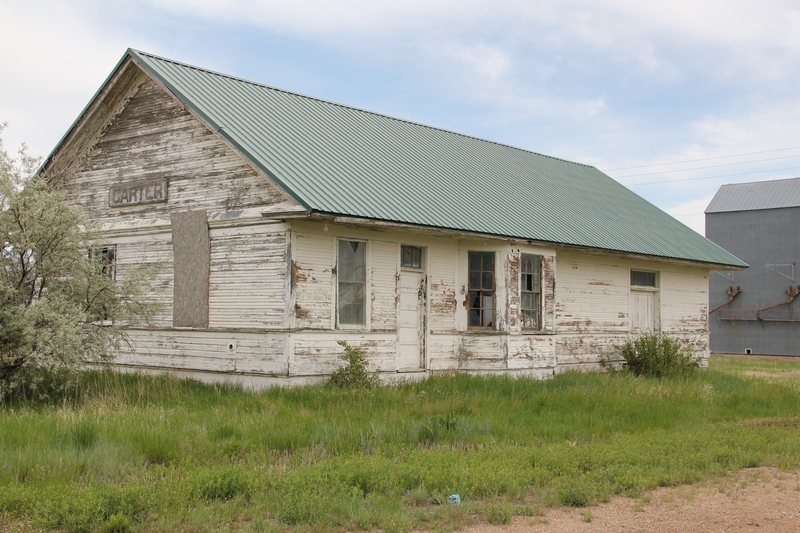 The threat a few years ago to close hundreds of rural post offices across the region brought new, and necessary, addition to role of post offices as modern community landmarks for plains country towns. 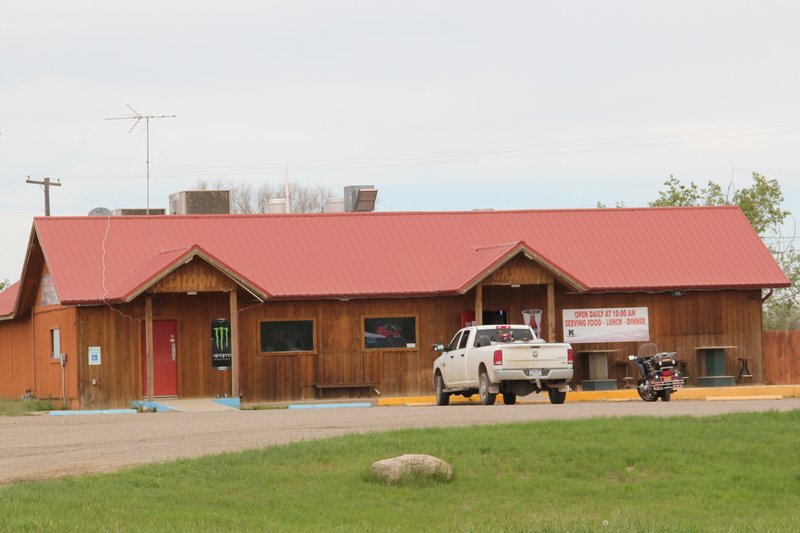 Admittedly, Carter is a place that hundreds roar pass daily as they drive U.S. Highway 87. 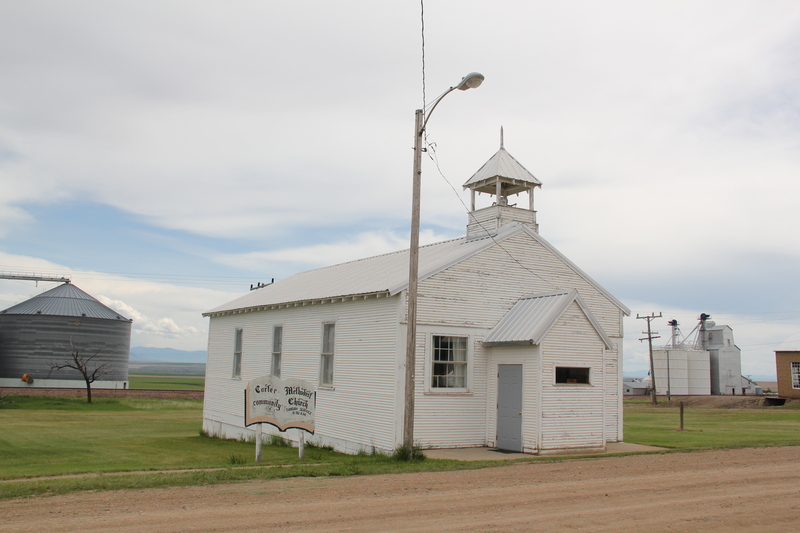 But with its extant school, depot, brace of elevators, church, community hall, and post office, Carter is a valuable physical document of the plains country towns that once populated eastern Montana, serving as important way stations along the metropolitan corridors of rails and sidings that crisscrossed the west.